Service - Copier Rental Inc. Here at CRI Business Systems, we understand the needs of our customers. You don’t want to deal with the headache of going to one company for the copier, another company for the toner, and a third company for the service. That is why we have service packages available. You have everything you need in one place. We make sure that your copier is always running at the highest level of efficiency, so whether you have a large job to print, or you need to meet a deadline, you’ll never have to worry. Our service packages cover all the toner, service, and parts for the copier. We always leave a backup toner with the copier so you will never run out. 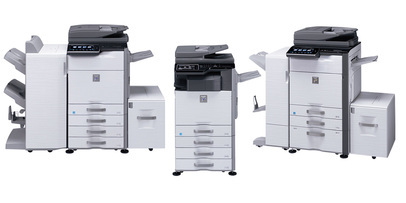 The copiers will be serviced by our highly skilled and factory trained service technicians. If you have an issue or a question about your copier, just call us and we will help you over the phone or send a service technician to your office to repair your copier. While providing an average response time of 4 hours or less, our highly-skilled and factory-trained technicians can promptly repair your copier and make sure you are up and running in no time. We will take care of anything and everything you need for the copier. If we can't fix it, we'll replace it. Guaranteed.